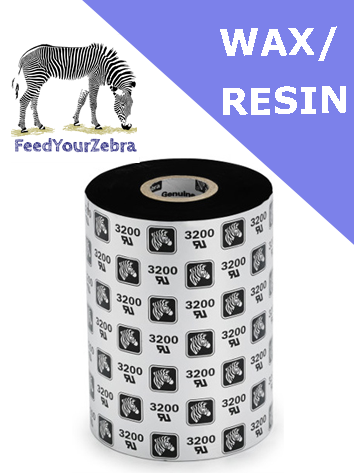 Genuine Zebra labels, thermal transfer ribbons and replacement printheads from FeedYourZebra. OK - so you've bought your Zebra (printer) and now you're wondering what to feed it on. You're confused - should you buy genuine Zebra supplies or take a chance and buy compatibles - at FeedYourZebra we can help. With over 10 years experience, we are a specialist supplier for genuine Zebra labels, genuine Zebra thermal transfer ribbons and genuine Zebra replacement printheads, supplying genuine Zebra products in the UK and the European Union. We are authorised suppliers for Zebra Technologies. Our promise is to offer you great service, competitive pricing, unbeatable value and a friendly approach to business. We are Zebra experts - so call us today and see how we can help FeedYourZebra or select your Zebra printer from the drop-down lists below to find labels, ribbbons or printheads for your Zebra printer. FeedYourZebra - "great for genuine Zebra labels, ribbons and printheads ... not so great for anything else". FeedYourZebra is a specialist supplier of genuine Zebra labels, ribbons and printheads. We know more about Zebra's than anybody else and we believe our success is due to our commitment to our customers. Buy low cost cheap Genuine Zebra labels from FeedYourZebra.co.uk - the range includes direct thermal printer labels and thermal transfer printer labels - manufactured by Zebra for Zebra printers. 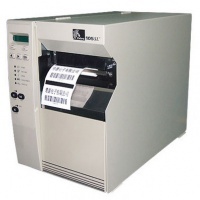 Available for Zebra desktop label printers, Zebra mobile printers and Zebra mid-range and industrial label printers. FeedYourZebra supplies only Genuine Zebra direct thermal and thermal transfer labels. Zebra labels are available in both direct thermal and thermal transfer. The Zebra direct thermal label range consists of Zebra Z-Perform 1000D and Zebra Z-Select 2000D. The Zebra thermal transfer label range consists of Zebra Z-Perform 1000T, Zebra Z-Select 2000T, Zebra Z-Ultimate 3000T White and Zebra Z-Ultimate 3000T Silver and Zebra 8000T Cryocool. Zebra thermal transfer ribbons are available from FeedYourZebra in the following formulations to perfectly match your label printing application. Zebra 2300 standard wax thermal transfer ribbons, Zebra 2100 high performance wax thermal wax thermal transfer ribbons, Zebra 3200 premium wax / resin, Zebra 3400 high performance wax / resin thermal transfer ribbon, Zebra 5095 high performance resin thermal transfer ribbon and Zebra 4800 performance resin thermal transfer ribbon. Zebra replacement thermal printheads for Zebra desktop printers, Zebra industrial printers. Available in 203dpi, 300dpi and 600dpi resolutions. All orders in stock are processed and sent out within 24 hours (Monday to Friday). We also offer FREE standard delivery on everything in-store when you spend over £100. When choosing which Zebra ribbons to use in your printer, the large choice is often daunting. From type to model, Zebra produce a wide range of different quality printing - from which you can find the suitable ribbon for your business needs. This article helps you to understand what type of Zebra ribbon is best for your needs. Zebra MotionWorks™ wins at 2014 internet of things awards. The system was used by NFL for real-time stats. We've recieved several questions asking exactly what is Link-OS, and how it can benefit them, so in this post we'll be taking a quick look at Zebra's exciting new printer integration solution. Here at Smart Labelling we thought it would be a great idea to make a series of videos with some of the printers we have around the office, showing our great customers how to get the most out of their machines. Then check out our new tutorial series for easy to follow help.